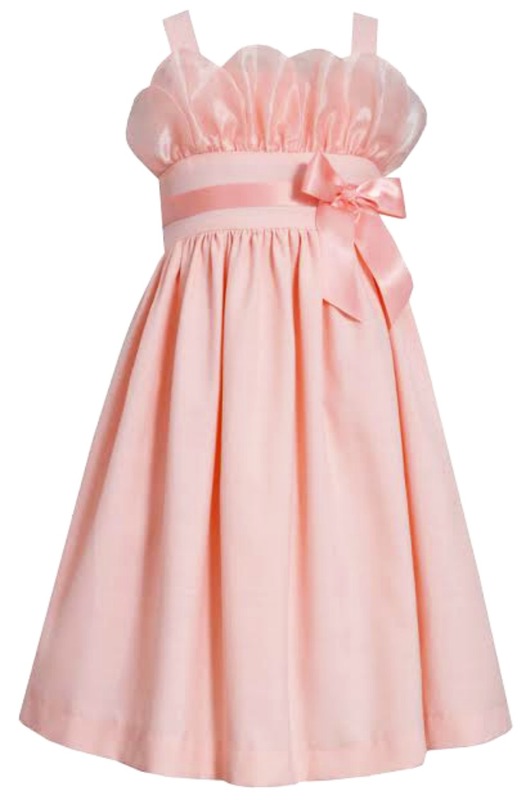 Beautiful girls peach poly rayon linen dress features peach petal organza neckline detail with peach satin trim and bow at gathered raised waist. Lined. Bonnie Jean Collection. Little sister dress sizes 4- 6X are style R34327.